Cardboard Brochure Holders And Cardboard Magazine Displays! From Cardboard Magazine Holders To Magazine Displays! Our cardboard brochure holders and corrugated cardboard magazine holders were designed and produced at our Altamonte Springs, Florida warehouse. These cardboard displays are 2X stronger than most competitors selling 30 point paper holders, ship flat and are easy to assemble. 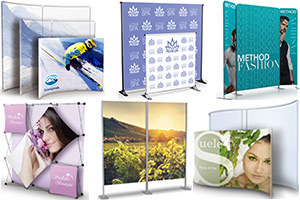 These cheap brochure holders or cheap magazine displays are produced and stocked by the 1000s on premises, these cardboard leaflet holders or cardboard magazine holders are readily available for immediate shipping. Corrugated cardboard brochure holders, or corrugated literature displays, are a cheap, low cost alternative to acrylic brochure holders or acrylic magazine holders and displays. We offer one of the largest inventory of brochure holders or cardboard magazine holders in the USA. A large range of sizes available that accommodate standard size brochures, leaflets pamphlets, flyers, publications and magazines. 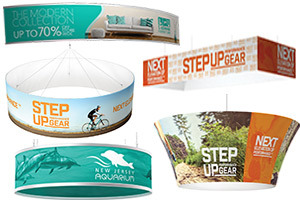 Perfect for trade shows and mobile presentations. Some of our dirt cheap magazine holders and cheap magazine holders are wall mount displays. We can also customize our cardboard brochure holders, see our magazine holder and brochure holder label examples. Short-Run Promotions. Corrugated cardboard brochure holders are commonly displayed for short-run promotions and events where they can be easily and quickly discarded after the event. Recycleable Cardboard & Eco-Friendly. These corrugated cardboard magazine holders are produced from corrugated raw material that is 100% recyclable and Eco-Friendly. Literature Displays Are Popular for Non-Profit Organizations. These cheap "take one" dispensers are extremely popular literature distribution displays for charities such as The Susan Komen Foundation, The American Red Cross, American Cancer Foundation and numerous other charitable organizations. Add A Business Card Pocket. Affordable Display Products offers an add on business card pocket to add to the front lip of any corrugated cardboard display rack. Cardboard brochure displays or cardboard brochure stands that accommodate 4" x 9" tri-fold brochures are the most common size. Pamphlet and digest size cardboard displays are 5 3/4" wide and are priced at rock bottom factory direct low prices that are ideal for bulk purchases. 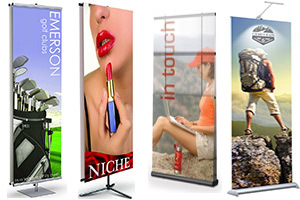 Businesses can promote their products and services more effectively while spending less on their marketing materials. Tri-Fold cardboard brochure holders offer a cost effective display for limited budgets as well as saves more money on shipping. The larger quantity you buy of the cardboard brochure stands, the lower the price. Bulk orders are ideal for large corporations that have several locations. We will gladly drop ship our brochure displays to your list of locations to. Our cardboard brochure holders are easy to discard or recycle with your products. Successful businesses invest lots of money on promotional and marketing campaigns to promote their products and services. 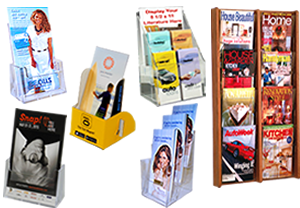 Knock-down pamphlet holders or cardboard display racks provide a cost-effective display that helps conserve limited budgets. Here are some cardboard brochure holder or magazine holder examples. Our Cardboard Products Are Produced From 100% Recycled Paper.